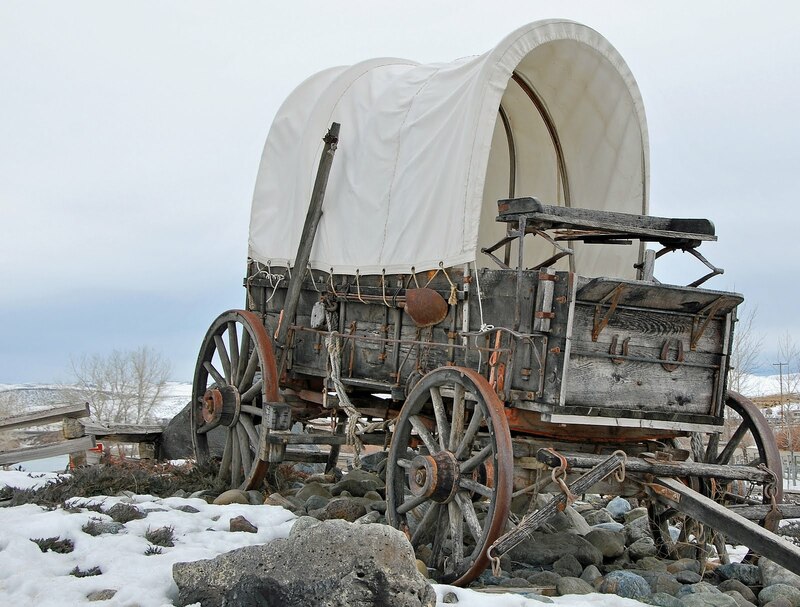 What was Mary Evans Baker carrying in her wagon during the family's 1862 trek on the Mormon Trail that made it so the entire family had to walk? From the life of Sidse Andersen Nielsen Andersen: Sidse was born in Denmark, 1829. At the age of twenty-six, she married Ole Nielsen. They joined the Church of Jesus Christ of Latter-day Saints in 1860, and decided to emigrate. They left Copenhagen, April, 1862. Sickness broke out on the ship, her husband and son died and were buried at sea. At Florence, Nebraska, she left her baby in the care of another woman while she went to purchase clothes. The baby was very weak and pale. The woman took the baby out into the sun. The baby suffered sunstroke and died. In October, 1862, she and seven your-old Lars Peter traveled by wagon train. The boy was ill and she carried him on her back part of the way. He became so ill, they let her put him in the back of a wagon. When they would stop, she was afraid to look at him for fear he would be dead. They arrived in Salt Lake City, October, 1862, with almost no money, no relatives or friends, and she could not speak English. Sidse was sitting on her bundle of belongings, holding her little boy and crying. A man approached her and said she could stay with his family for the winter and work for her board. She did this for a year. She later married Tomas Christian Andersen. They lived in Mantua, Utah, and had five children. They were married fifteen years and then were divorced. She had to make a living for her family. She traded eggs for other items. They grew flax, spun thread and wove the cloth. Later, they raised sheep, spinning and weaving the wool. International Society Daughters of Utah Pioneers, Pioneer Women of Faith and Fortitude, (Publishers Press, 1998), 1: 71-72.